The rich, unique and luscious Anatolian Cuisine Culture which has existed for thousands of years in this ancient land still manifests itself in different flavours throughout every corner of modern Turkey. This aggregation of delicacies which has been passed down through generations is one of the most prized treasures of our cultural heritage. With our own experience which has also been passed down through generations, we as *Ali Ocakbaşı* strive to represent this cultural treasure both at home and abroad by presenting our most valued customers with the delicacies mostly from the Anatolia. Amsterdam is the city of dreams, and has been for centuries since its rise to magnificence after the the Dutch Golden Age of trade and discovery which turned tiny Holland into a global maritime empire and its capital into Europe's wealthiest city. When tourists walk through the innumerable and wondrous museums and landmarks, ride their bikes along the canals, or visit a trademark coffeeshop, they may never realize how many centuries of history produced this city of wonders. Amsterdam’s roots of freedom, liberality, sophistication, progressiveness and tolerance are the results of both the Dutch revolution, and the fact that the city was a hub of trade. Today, these roots are manifested throughout Dutch culture and Amsterdam lies at the heart of it all and exists as a beacon of luxury, culture and civilization. There couldn’t have been a better place in Europe for Ali Ocakbaşı to offer the authentic culinary experience of the Anatolian Grill and all the gastronomical delights that come with it. We believe that a restaurant’s ambiance should match the food in terms of quality. Our Amsterdam branch is located on the Herengracht canal in the centre of the city only 300 meters from the famous Rembrandt Square. The Herengracht is considered to be the most important canal in the city. In the 17th century, the richest merchants and the most influential regents and mayors of the city lived on this canal. Even today, an adress on the Herengracht is seen as prestigeous and chique. The strass, the historic Utrechtse street our restaurant is located on is a busy street with a great number of unique, eye-catching stores. Lifestyle, interior design, fashion, gifts, music, literature and, of course, gourmet food. This is a street that will leave you overwhelmed with options in terms of stylish restaurants but the authentic Anatolian Ocakbaşı (Grillside) cuisine and atmosphere we offer is something without any alternatives. The late Johannes van Dam (1946 - 2013) was the country's best-known writer on food. Van Dam wrote a regular column on food for the national daily Het Parool for almost 25 years. He was considered one of the best food critics in the world. Our Executive Chef, the Sous Chef responsible for the hot and cold appetizers and side dishes and the Maître d'hôtel holds the honour of being awarded with 9,5 points by Van Dam during their careers in Amsterdam. 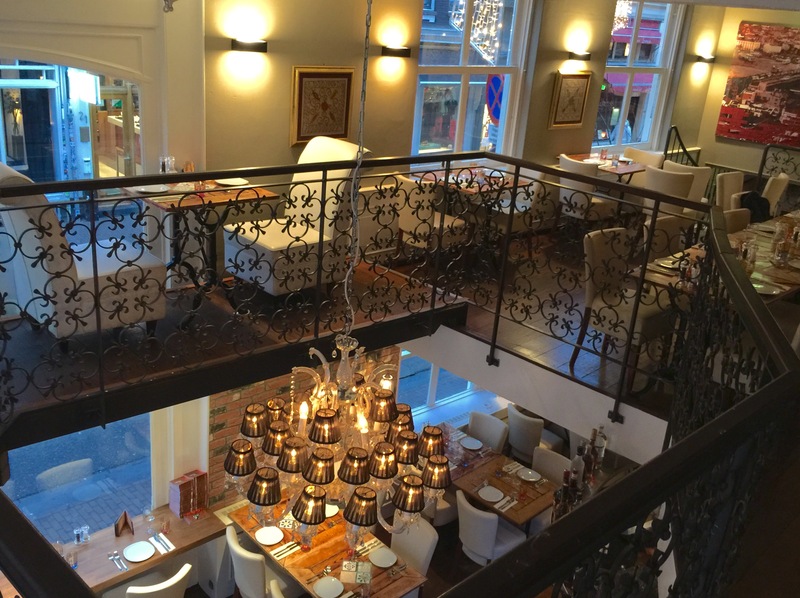 Our goal is to represent the genuine Anatolian Grillside cuisine abroad as perfectly as we can and we hope that our Amsterdam restaurant will serve as the ultimate proof of our dedication to our guests' satisfaction.